The goal of the project is to provide a description of some of the major differences between the dialects of Kurdish. The only comparative work on the dialects of the area was conducted by MacKenzie and published in 1961, based on eight major locations. Using a questionnaire and samples of free speech, we will interview emigrant Kurds in England and France and, relying on the assistance of students and colleagues at the universities of Mardin (Turkey), Soran and Suleimani (Iraq), also in the Kurdish regions. We aim to cover major structural variants representing up to 50 origin locations. The results will be made freely accessible on an online database, in the form of transcriptions of words and phrases, sound files, and maps representing the location of principal variants. 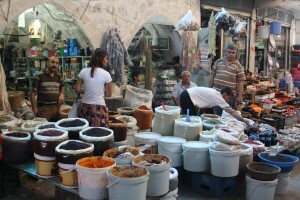 The project draws on a successful pilot project funded by a Small Grant from the British Academy, during which a data collection method was developed and tested, a database prototype was developed, initial samples were collected and entered into that database, and links have been establishment with three Kurdish-language departments at the universities named above, on which we shall be able to draw for fieldwork. The pilot project also established close links with immigrant Kurdish communities in England and France, on which we will rely for much of the fieldwork. The project is led by Professor Yaron Matras, who is one of few specialists in Kurdish linguistics, and Dr Andrew Koontz-Garboden, a leading specialist in the study of verb semantics and verb derivational morphology and morpho-syntax. The project will thus be in a position to make a major contribution toward the application of theoretical-linguistic insights to Kurdish and to draw on Kurdish as a case study to help illuminate issues that are of interest to the general linguistic discussion in these fields. The project team also includes Dr Salih Akin, a Kurdish linguist at Rouen University (France), and Dr Ergin Opengin, a Kurdish linguist currently based at Bamberg University (Germany). The project is funded by a Research Grant from the Arts and Humanities Research Council.